Boletos a la Venta - cupo limitado! Compra Tus Boletos ahora! Boletos También Disponibles en La Taquilla de El Quiet Cannon a partir de las 4pm! 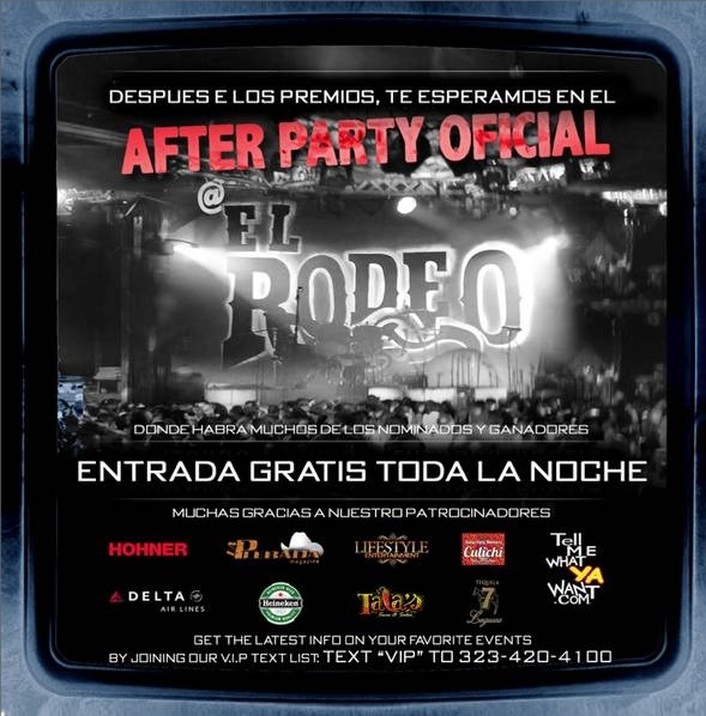 Access to the Premios Award Show and Backstage to Mingle With The Singers, Groups and Bands, And Access to the After Party. You Can Upgrade At The Door If Upgrade Is Available!